July? I dropped by to visit, hugs everyone! Life is good most days, other days are quiet. I still go to the VA for care and vists I talk about my many years of military experience with VA docs and nurses - hope it helps the next woman Vet in line. I always keep my Hadit family in my prayers, you were a "backbone" to this ole cowgirl. Here & wishing a great April to each! I pray daily for fair claim results as needed for each veteran, their family and well deserved quality health care. Blessings from my family to everyone here at Hadit !! Cowgirl'up! 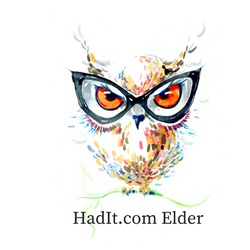 Happy New Year to all my brothers and sisters here at Hadit! I wish you and yours a healthy 2013. Although I cannot relate exactly how you, my Hadit family has affected my life, your blessings continue to reflect great light in my everyday. Thank you and may your journey path continue be supported by the footprints of humble veteran heros. Cowgirl'up! Howdy, couldn't recall if I signed in for December or not. I'm good, mostly, staying a day ahead of challenging health issues, appreciative for my Hadit family & my kiddos & husband. There isn't a moment that goes by that I try to convince myself disability benefits are hard earned & not a dream. When I see or hear other veterans struggle with daily existence, I'm humbled having been pretty low before my good veteran freinds here at Hadit helped lift me up. I wish everyone a Merry Christmas and everyone happy holidays in their faith walk. Peace on earth Cg'up! I'm here, thankful that Hadit is still here for veterans&family members. Everyday I'm blessed to work on my service-connected, chronic health issues. Have a good Veterans Day everyone, from my family to yours, Little ole Cg'up! Big Howdy and God Bless to my Hadit Family, things are just really good right now and Lord willing, I'll n'er fall asleep at the wheel. Good to be home, getting medical care, keeping health and benefit records up to date. Coffee's on & Cowgirl's Up! Hello & Howdy, I'm still kickin around, hubby and kiddos dont mind, well most of the time. Been missin my Hadit family while keeping y'all at the front & top of my prayers. Taking good heart meds & getting needed care thanks to the 'advocacy' from the forum here. Can hardly imagine what else to say cause my heart wells up into my eyes and makes it hard to see to type. I just love y'all, God Bless, yours, Cowgirl! I am here! Every veteran, family member and care provider is in my daily thoughts. Every day, every hour, I cannot imagine where I'd be without my Hadit veterans 'family' and am living proof that information is power. I remain active for veteran and military rights in honor of those who have given the ultimate sacrifice. On behalf of my family and myself, fondly yours, Cowgirl'up! p.s.I'll pop back on in the next few days to catch up a bit - hugs! Here! Youre 'always on my mind' - okay, not W.Nelson here but nevertheless - Hadit is family and I've been off the radar for a while. Sure hope this month finds each and everyone in relative 'good' balance to lifes events. I can report my VA benefits and SSDI have made a true difference in my life. Sometimes, I'm a bit hard to focus on whats next, but I figure its rather normal to feel that way after so many years battling for whats due. Got some newer ideas I'm trying to figure into my life, but meanwhile God carries my family and me along with amazing gentleness. Hope to check in real soon, missin yall, Cg'up! Hello - still here, kicking and trying to hang in with things. Trying to return to Hadit a bit more and honor my blessings by paying it forward. Be reassured, Hadit is in my every day thankful prayers. I continue to pray for successful and fair processing for each veterans care. .Love you all, your Hadit Cowgirl! tdiu Poll: Did You Have Ssdi Before Tdiu Or Tdiu Before Ssdi? From much of what I've read over the years, veterens seem to have SSDI in hand before TDIU was 'awarded'. Curiosity. Me me me I'm here! Been out tendin to the kiddos and hubby - always keeping Hadit in the front of my prayers and mind. well whats left of it! :) I'll be comin back round soon enough to see how I can help, right now I got some wire cutters and a rake to fix. Thinking the best for each, hoping you get 'whats due you' and passing the experience along! TBird - hugs and blessings to you on having your pet, one of your best freinds for that long. Recall the joy, the love and what a wise woman once said - No One should be alone! ((\o/)) !! God Bless ya Cowgirl'up!